Quality Control is arguably the most important element of any packaging operation. 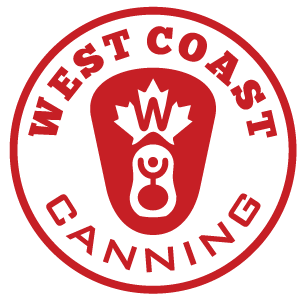 West Coast Canning set the standard for Canada’s mobile canning industry and are constantly striving to push the bar even higher. The Pentair-Haffmans Optical Gehaltemeter is a key part of West Coast Canning’s quality control arsenal. It allows us to accurately test – with minimal wastage – the levels of Dissolved Oxygen and Carbon Dioxide in your product, as well as the Total Packaged Oxygen in the can. This not only allows our mobile canning line operators to run the product with minimal wastage, it also ensures the best possible shelf life for your product. Our mobile canning teams check can seams at regular intervals throughout each run to guarantee an airtight seam. As an additional quality control measure, we also employ CMC-Kuhnke’s SeamScan Package to inspect seams after each run, allowing us to identify and fix potential issues before they arise. All West Coast Canning customers are welcome to send us their cans for seam inspections, free of charge, whether you use our mobile canning service or not. Before your product comes anywhere near our canning line we carry out a series of ATP bioluminescence tests on all contact surfaces using our Hygiena SystemSure Plus ATP Luminometer. This quality control measure confirms that our CIP procedures have been effective in removing any organic matter that could cause contamination. We date code every can with the information you need to keep track of your product. Date codes help retailers identify specific batches and rotate stock properly, so your product reaches the consumer in the best condition possible. Date codes are fully customizable, giving you the option to add a little extra brand flavour to the bottom of your cans.